What Does All This Have To Do With Forex Trading? What Currency Pairs Can You Trade? Which Pairs Should You Trade? What Timeframe Should You Trade? How Much Can You Earn On Currency Trading? How Much Do Smart Money Traders Earn? How Much Do Retail Traders Earn? How do forex account managers generally operate? How Do We Assess Forex Brokers? Introduction to forex trading. From what moves markets, to finding the best Forex brokers, we explain FX trading in detail. Learn a stop order from a limit order, know why spreads are important and read some winning strategies – and try it all out risk free with a forex broker demo account. Forex trading is the business of trying to make money from the difference in exchange rate of one currency against another. The idea of trading currencies came about as a result of floating exchange rates, which allow a currency’s value to be determined by the “market” – the forces of supply and demand. We have reviewed the top brokers for UK traders and judged them based on software, regulation, customer support, deposit- & withdrawal options and overall trading experience. Trade Forex with tight spreads and varied flexible leverage. Risk management tools allow total confidence when trading the major pairs. ETX provide the tightest spreads and cheapest place to trade. Well over 50 Forex pairs traded. IG Index offer the largest range of Forex pairs in the financial sector, and also some of the tightest spreads. The EUR-GBP exchange rate is one of the most popular currency pairs for UK traders. Foreign Exchange Trading, “Forex” or “FX” as it’s commonly known, is one of the most exciting and accessible markets for traders. The 24 hours access, low margin requirements, and constant action gives new traders a world of opportunity to learn, grow, develop strategies and discover markets. Unlike the stock or futures market, the foreign exchange market is decentralised and transactions take place between parties away from a central exchange. This can as small as exchanging a few dollars at the airport when you’re travelling, or as large as a major corporation moving revenue from sales in Europe (Euro’s) back to the US (dollars). Millions of these transactions take place every day all around the world. The Foreign Exchange market is fluid, diverse, and extremely liquid. This type of decentralised market is not without it’s problems. The main issue for most people comes when they attempt to exchange money in small amounts. As transactions do not run through a central exchange, counterparties can theoretically set whatever price they want for a currency. Have you ever noticed that when you try to exchange currency the rate offered is often far worse than the “official” rate? Even when you purchase something online, there’s usually a significant difference. The difference is called the “spread”, which represents what gap between the “official” rate and the rate offered to you at the point of transaction. The spread charged by banks and merchant exchanges is usually quite wide, and gives them significant profit potential. Forex trading is essentially you, the trader, making a contract with a broker, to purchase (or sell) one currency versus another at an agreed upon price. For example, when you BUY the EUR/USD, you’re betting that the Euro will rise in value relative to the US Dollar. The price you pay is set by the broker, and is representative of the market consensus at that point in time. As competition for trading volume is fierce, brokers who offer the best prices and smallest spreads capture the most traders. It’s important to note that as FX is a made market, prices can swing and spreads and change widely depending on the market conditions and your broker. Having a reputable and regulated broker is very important, as brokers are the ones who actually set the price. A quick note on brokers – choose wisely and do your own research. If you are a retail forex trader (i.e, you’re not a professional working for a hedge fund or proprietary trading firm), the counter-party to your trade is often your broker, rather than another human. This is significantly different to the stock or futures market. Broker business models vary, they may hedge their risk by taking positions for themselves, or can offload your positions onto the market. All of that happens in the back end, and while it’s interesting information to have it’s not essential to your trading. If you’re serious about trading FX, it’s worthwhile looking into the way brokers operate. In the meantime, the important takeaway is that as a retail trader, the trades you make are often against your broker and not another individual. As you can imagine, this represents a significant conflict of interest issue. When choosing a broker, make sure they are regulated and do your due diligence. Do you research, look at reviews and complaints online, and speak to them directly if you have any questions. If possible, choose an ECN broker who routes your orders through to the market (rather than taking the opposite side of your trade). Unfortunately, stories of traders being swindled by their brokers are all too common. Start with our list of brokers, however, as always, do your own research. 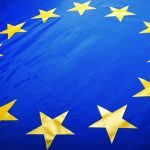 It is possible to use European brands and avoid the restrictions imposed by ESMA. This is because they only relate to retail investors. 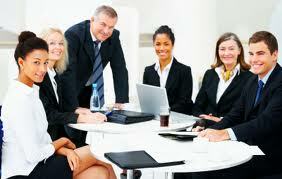 It is therefore possible to register as a professional client and still claim access to the higher levels of leverage. This requires certain proof of experience and trading capital, but is an option available at almost all brokers. If you cannot (or do not want) to register as professional, then ASIC (Australia) or SEC (US) regulated broker might be a good choice, and will open up both higher levels of leverage, and possibly also higher risk products such as binary options – depending on your the broker you choose. The Foreign Exchange market is driven macroeconomic fundamentals, the most important of which is interest rates. The interest rate differential between one country and another is one of the key reasons why one country’s currency is worth more than another’s. This is why forex traders pay such close attention to any fundamental news that can impact a country’s interest rate. Understanding how macroeconomics impacts foreign exchange is a broad topic and requires significant study. New traders are often scared off fundamental analysis for this reason, and look only to technical analysis as a quick fix. Macro is complicated, but even a basic understanding can improve your ability to assess information and form a narrative for why a currency is moving. Major news announcements: these have a huge impact on the forex market. Fundamental data releases (e.g. Non-Farm Payrolls, CPI, etc) have the potential to move the markets hundreds of pips, especially if they are unexpected or well above or below expectations. Central bank comments have even more power, as they can fundamentally shift monetary policy, which can drive a currency for hundreds, if not thousands of pips. Forex traders should always check the economic calendar, price movements around news events can be sharp, liquidity is thin and spreads are generally wide. Political news: Whether it’s an election or a scandal, a shift in the political landscape can influence forex markets over the short term. Elections, and the uncertainty they generate, can generate volatility and directional movement. Comments from a country’s President or Prime Minister concerning the strength of their currency can also move markets. Unfortunately, it’s extremely difficult to know when these comments are going to happen. Market technicals: Some traders believe that technical analysis is the holy grail, and will lead them to riches. Many new traders are attracted to technical analysis as it is visual, easier to learn than fundamental analysis, and many trading systems use it. What you make of technical analysis is up to you, and how you interpret the charts, indicators and patterns. The number of currency pairs available to trade is limited only by what your broker offers, and ranges from the major pairs through to exotic crosses. This massive selection is both an opportunity and a danger, as new traders can get overwhelmed with the array of choices available to them. Most forex brokers offer these pairs to trade. Are generally comprised of crosses of the major pairs, e.g the GBP/JPY, AUD/EUR, etc. These pairs are usually more volatile than the majors, have wider spreads, and are less liquidity. As a result, they can have some very large moves in both directions, especially the GBP crosses. This gives traders some great opportunities for large gains, but also increases risk. The minor pairs offer some excellent trading opportunities for those that are comfortable with the extra risk inherent to them. These include currencies not listed in the majors, and are often paired against with the US Dollar or the Euro. Spreads are generally wider, and volume is significantly thinner, which can cause much less or much more volatility, depending on the pair. New traders often find these pairs difficult to trade due to the difficult market conditions and characteristics. If you’re just getting started, it’s very tempting to trade a wide variety of pairs. As a guide, new traders should look to focus on the major pairs, as they have the tightest spreads, most volume, and are more liquid. Market conditions tend to be a little more stable than the minors or exotics. Minor pairs can also be interesting, especially if you have an understanding of a country’s economy and want to leverage that. For example, an Australian trader who is familiar with the AUD may look for opportunities in the AUD/JPY, AUD/EUR as well as the AUD/USD. There’s also some great opportunities to pair very weak and very strong currencies against each other in the minor pairs. There is a lot of opportunity in the Forex markets, resisting the temptation to trade everything all at once and narrowing your focus will ultimately help you develop as a trader. One of the main reason traders are drawn to Forex is that the market is open 24 hours a day, 5.5 days a week. On the plus side, this means that you can get in and out of positions anytime of the day and night, and are generally not susceptible to gap risk like in the equity markets. On the flip side, some traders find the 24 hour nature of the markets to be extremely draining, as they have to be alert through all hours of the day. Close: The FX market closes at 5pm Friday in New York (Eastern Standard Time) and is closed for the weekend. On all other days, daily rollover takes place at the 5pm close, with a short break in trading on most brokers (5-15 minutes, depending on the broker). Liquidity is often thin around the daily rollover and during the “out of session” hours. Even though the FX market is open 24 hours a day, trading and liquidity follow the global equity market sessions around the world. Each of these sessions has it’s own characteristics, and should be taken into account when trading FX. Asian Session: Often referred to as the Tokyo session, and comprises mostly of Asian markets, beginning with New Zealand and Australia and then working through the timezones west. The Asian session is generally characterised by lower volume and tighter ranges, however this can vary depending on news events specific to those markets. The JPY, NZD and AUD can have big moves during the Asian session, especially on significant news events. The London/European Session: Begins with Frankfurt, and an hour later with London. The London session is when significant volume hits the Forex market, most pairs will see volume and volatility during these times. New information is priced in as large European institutions and traders adjust their positions or exchange currencies. The New York Session: The US session officially opens at 9.30am New York time, however US fundamental data is often released at 8.30am, which can see a large influx of liquidity into the markets then. The crossover between the London and New York sessions generally see’s the most volatility and liquidity. This is when the majority of key fundamental data is released, and the largest financial institutions in the world are adjusting their positions or processing transactions. This is one of the most common questions that new forex traders ask. It’s recommended that new traders focus on trading daily charts as the setups are cleanest, and there’s less chance of getting chopped out by noise. The biggest issue the new traders have with this is the lack of action. If you’re the type that want’s to trade lower timeframes, the 4hr and 1hr charts are a good place to start. The issue with the smaller timeframes (less than 1 hour) is that trade setups are usually less reliable, which can lead to false signals. The noise generated by random price action is amplified the smaller timeframe you take. When we mention forex contracts or forex trading, what readily comes to mind is conventional forex trading, which is actually known as spot forex trading. Spot forex trading is defined as a trade in which the trader and the dealer perform currency exchange transactions with both delivery of the asset and financial settlement being done immediately or on the spot. This is the modus operandi of the online foreign exchange market that every trader in this market is familiar with. However, not all currency transactions are done on the spot. Some traders may decide to use other ways of trading forex as we shall see below. You can read more about spot contracts and trade examples here. The futures forex contract differs from the spot forex contract in the timing of the delivery and settlement of the asset, which is done at a future date and not on the spot. In essence, the contractual prices are decided immediately, but delivery of the currency asset and settlement is done in the future. Currency futures are traded on the Chicago Mercantile Exchange and on the Globex platforms. Another big difference between the futures forex market and the spot forex market is that the futures markets do not operate on a 24 hour basis. There are specific times when the currency contracts can be traded. This is in contrast to the 24 hour daily nature of the spot forex market. Just like in the spot forex market, the terms of the contract make it obligatory for all parties to the deal to exercise the contracts. This feature distinguishes futures forex contracts from the next type of forex contract. The futures markets are tightly regulated by the Commodities and Futures Trading Commission (CFTC). Learn more about futures contracts here. Currency options are traded on the Chicago Mercantile Exchange, the Philadelphia Stock Exchange and the International Securities Exchange and can be defined as derivative instruments in which the owner of the contract has the right to exercise the option by exchanging one currency asset for another at a predetermined exchange rate and at a future date. However, the terms of this contract does not make it mandatory for the trader to exercise the option at that date. In essence, the trader can choose not to exercise it if he does not find it profitable to do so. For this contract, there must be a pre-agreed strike (the exchange rate), an expiry date (maximum of three months) and the contract is fragmented into trade sizes which can only be purchased in multiples of that trade size. Currency options are used as hedges against unstable exchange rates. Large corporations who do business that requires exchange of large volumes of money in transactions where a minute shift in the exchange rate can translate into a difference of hundreds of thousands of dollars, like to use currency options in this manner. One reason why there aren’t many individual traders in this market is because the margin requirements are large. In the US, the maximum allowable margin is 1:20, which means that a trader must be able to muster $5,000 as margin for a single $100,000 options contract trade. These are a relatively new forex contract type, which evolved with the deregulation of the binary options market in 2008. Forex binary options allow traders to trade currency pairs as all or none options/binary options. This presents one of the safest ways to trade forex contracts and can be traded by even traders without much experience. Contract sizes can be as small as $25, and margin requirements are not stringent. They are traded on the platforms of binary options brokers. Exchange traded funds (ETFs) are usually funds that track the performance of a basket of instruments. As such, an ETF can actually be a forex ETF in which the fund tracks a basket of currencies, or can be a composite basket which tracks a set of currency assets, commodities and stocks. Such forex ETFs can be traded on the stock markets using a retail broker. Currency swaps are forex agreements undertaken by two parties to exchange or swap the principal and/or interest payments on a loan in one currency for an equivalent amount of a net present value loan in another currency. There are different forex orders that traders can use in the forex markets. Each of these orders has its peculiarities and should only be used in certain situations and under certain conditions. The forex order process is as important as any forex trading strategy, as using the wrong forex order a certain condition can destroy the trade before it even takes off. The nomenclature and order placement procedure for some of these forex orders differ from one trading platform to another. The MetaTrader4r platform, which is the most common platform used by retail traders in the forex market today, has a very simplified forex order process that every trader can understand. Other proprietary trading platforms like Actforex (used by Ava Financial Limited) and Currenex retail forex trading platform, are more complex and will need some getting used to. By the time the trader moves on to the more professional institutional Level II forex trading platforms, the complexity of forex orders placement increases. Understanding these differences is key to understanding how to place forex orders correctly during the trading process. The Market Buy is an instruction to the broken or dealer to initiate a long position on a particular currency asset at the prevailing market price. It is used by the trader with an expectation to gain from rising prices. The Market Sell is an instruction to the dealer or broken to initiate a short position on the currency asset at market price with an expectation to profit from falling prices. The Stop Loss is an instruction to the broker to automatically close an active position if the asset price has moved contrary to the trader’s position by a specified member of pips. It is used as an account preservation strategy to safeguard a trader’s account from steep losses. The Take Profit order is an instruction to the dealer/broker to automatically close an active position which has moved in the trader’s favour by a specified number of pips. It is used as an account protection strategy as this order type aims to lock in profits from the trade before the position reverses. The Trailing Stop is another forex order type used as an account protection strategy. It works by adjusting the stop loss position to chase advancing prices when the trader is in profits, thus locking in profits. When prices start to retreat, the trailing stop assumes a stationary position, and if the market price hits the trailing stop, an instruction is sent to the broker to close the position automatically. If the retreating price does not touch the trailing stop before resuming the advance, the trailing stop will continue the chase of the advancing prices. In using the stop loss, take profit and trailing stops, the trader is bestowed with the right to choose an appropriate price level with which to set these positions. Limit Orders are orders that are used when there is an expectation that the price of the currency asset will reverse when they get to a certain key level. Limited orders have a buy and sell component. A buy limit is used when there is an expectation that the price of the asset will drop before advancing in the opposite direction. A trader will therefore use a buy limit order if he expects the currency asset to retreat to a level of support before advancing. The entry price for a buy limit is therefore set at a point where there is reasonable price support. In the same vein, a trader will use a sell limit order, setting the entry price at a reasonable level of resistance if he expects the price of the currency asset to advance to such a resistance level and the pull back. You can learn more about limit orders with trade examples here. Stop Orders are orders that are used when the trader wants a confirmation that price of the asset will breach a key level of support or resistance, and continue in the same direction of upward advance (buy stop) or downward advance (sell stop). In this case, the entry price is set beyond the key levels of support (sell stop) or resistance (buy stop). The advance price of the asset will trigger the trade entry on its way. Traders must be careful when using the stop orders. They must confirm that prices have truly broken the key levels and not just touched it. This is confirmed if the candlestick in view closes beyond the key levels, indicating a true price break. You can learn more about stop-loss orders and common mistakes when placing them here. To be able to participate in the forex market, a trader needs access to this huge virtual exchange. This he can do by obtaining a forex trading account with a broker licensed to provide this service, identification document such as an international passport, drivers’ license and a utility bill or bank/credit card statement as proof of address. These documents are required for account activation. Once the account has been activated, the trader can then use an acceptable means of transferring funds to his trading account domiciled with his broker in order to start trading. This can be done via a bank transfer, credit/debit card or any of the e-wallet services like Paypal, Moneybookers and Neteller. It is this money that will serve as the initial capital for buying and selling currencies for money. What are Market Spreads and How can a Trade Find the Best? Market spreads are the main cost of trading incurred by the trader. Possessing some knowledge of the various forex market spreads that exist will help a trader make informed choices on which currency assets to trade based on the margin available to him. A look at the instrument table of a typical retail forex trading platform will clearly reveal a table of currency pairs, and the difference in the bid/ask prices of the listed currency assets will also be clearly visible to the trader. The question is: why do different currency pairs have different spreads? To answer this question, we will compare the spreads of the different assets, understand how these spread difference came about and how the trader can put this information to his beneficial use when trading. The difference between the bid and ask prices is the spread of the currency. In a dealing desk operated price structure, the spread is the only cost that the trader will incur during trading. In an ECN environment, there are other commissions that are paid in addition to the spread, and the commissions on each asset differ. Different currency assets have different spreads. Being the most traded currency pair in the forex market, the EUR/USD has the lowest spreads of all traded currencies on any platform you visit. In contrast, the exotic currencies attract the highest spreads in the currency market. Currencies such as the USD/NOK attract spreads of up to 50 pips, and the pairing of the US Dollar and the South African Rand (ZAR) attracts spreads of up to 150 pips on some forex platforms. Currencies with low spreads have lower intraday movements. Consequently, a trader who trades low-spread currency assets will have reduced margin requirements. 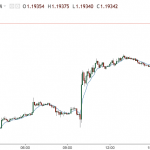 Intraday stop loss levels can be set to tighter levels of between 30 to 50 pips. In contrast, a trader trading the high-spread currency pairs will require higher margin requirements, and intraday stop loss levels must be widened to accommodate the wide intraday price swings. You can imagine trading a currency like the USDSEK which can swing as much as 1000 pips on a single news trade. With this information, traders should be able to adjust their account sizes relative to the currency assets they want to trade. Traders who want to include the exotic currencies in their trading arsenal should work to expand their trading capital so as to accommodate the swings in price. Whichever asset is traded, traders should practice responsible risk management on their accounts so that the spreads do not eventually work against them. Beginners should stay away from currency assets with wide spreads until they gain more experience. This is a short tutorial on how to make money trading the forex market. Make sure you first understand all the basics, before taking on more risk and attempting consistent profits. The reason why many retail traders fail is that too little time and attention is paid to acquiring the foundational knowledge of the market structure, how the forex market functions and how this market can be traded for money. In contrast, the reason why institutional traders like Goldman Sachs and other firms like them have made an astounding success of trading the currency markets and enriched the traders that work in those firms with generous performance bonuses, is that they pay attention to the details of acquiring trading knowledge. Every trader in an institutional firm has a mentor/supervisor, and graduates from level to level as they gain more experience. As a retail trader, do you have a mentor or someone who supervises you and teaches you properly over time (not just over a single weekend)? Do you have access to forex trading materials and ebooks? Do you visit professional sites to get expert opinions on how to trade the markets? Do you visit forex online forums and review sites? If you don’t, then you are not yet on the road to making money from forex trading. So learning how to make money from forex trading requires that you start from these sites mentioned and build from there. Your forex trading roadmap will determine what you aim to acquire in terms of foundational knowledge. A trader who wants to compound for wealth over a period of time must, in addition to the conventional forex trading knowledge, also seek to understand the principle of compound interest and other similar topics that will keep him on track. Once you understand the basics, you are ready to take on the market. Are you trading for the long term? Then you need to learn the principle of compounding for wealth over a period of 5 to 10 years. Starting with $1000 and aiming for 10% monthly returns on your account balance, you will be surprised at how much you will be worth in a period of 10 years. Most people who save for their children’s college education of retirement fund are always hard pressed achieving their targets because there is a limit to the amount of work an individual can do. How many people can work up to 16 hours a day for 10 years without a major physical and mental shutdown? Such people do not understand how to use the power of compound interest in an investment vehicle like forex trading to do the work for them. The key principle here is consistency using low risk. Aiming to make $100 out of $1000 from 20 trading days is very low risk indeed. This is the equivalent of making 200 pips from 0.05 lots trade size, 10 pips a day. With currencies like the EUR/USD possessing intraday ranges of 100 pips or more, and over 50 currency assets to choose from, how is it not possible to achieve this target? This is where you build on what you already have. By now, you must know what works and what doesn’t. You must have a strategy for trading and you should have at least been able to achieve some success. It is now time to build on your knowledge by monetising it in the form of forex products. This is where you can give out trading signals on a subscription basis, or create master-slave EAs that copy your trades to the accounts of other traders. This is the ultimate icing on the cake and is a form of residual income. A master-slave EA is a fully automated process. Your EA scans the market for opportunities based on your strategy and copies this to subscribers’ accounts for execution. You can make $10,000 clean every month from this system with only 100 active subscribers. How about giving the signals out to your forex affiliates who generate money for you from trading spreads? The difference between these two trader classes in terms of knowledge, experience, earning power and returns on investment are as far apart as the US is from Japan. However, it is actually possible for a retail trader to cross over to become a smart money trader if he is able to imbibe the trading techniques of the smart money traders. Smart money traders include financial institutions such as banks and hedge funds. Here there are veterans who have played the markets for upwards of 25 or 30 years. They also have access to complex trading algorithms as well as some of the most advanced tools that the trading markets have to offer. They also have access to billions of dollars in trading capital and can literally turn the market on its head with hefty order flows. Institutional traders have paid subscription access to live news feeds on market events and get this information way ahead of the retail money traders. The fees that they pay for such access can easily fund the trading accounts of up to 20 retail traders effortlessly. Armed with these tools, they can easily see where the market is headed and use the sheer force of their trading capital to lock in “early bird” positions on a currency asset. Once they are in the market in full force, the retail traders will find it very hard to get good order fills. The moment they profit from price spikes that their actions have initiated, they will start to offload their positions and who gets filled in at the retreating prices of the profit taking activity from the smart money guys? It is the hapless retail traders who bear the brunt. 1) A major bank can have up to 10 billion dollars in forex market exposure at any given time in year. A return of 40% for a trading year will net a major bank up to 4 billion dollars. This is not counting money obtained from exposure and trading in other derivative markets. 2) Colocation services refer to provision of infrastructure that will lead to faster reception of data from broker services to trading platforms. They include FIX protocol infrastructure, virtual private servers and other kinds of software. Most of these are available on subscription basis. A bank providing brokerage services with 50,000 trading clients paying $100 a month for such collocation services (i.e. $1200 per annum for a client) will easily gross 600 million dollars per annum from this arrangement. 3) Banks are liquidity providers for ECN trading and they charge commissions for this service, which ECN brokers pass down to clients. A bank can have up to 10 ECN brokers under its wing, and each ECN broker can have up to 10,000 clients, so the bank can easily have 100,000 traders on its network. If each of those traders make 3 Standard Lot sized ECN trades a week at a cost of $3 per Standard Lot traded, this comes to income of (3 X 3) X 100,000 = $900,000 a week. If trading occurs 50 weeks in a year, discounting days lost to holidays, a bank can easily net 45 million dollars in ECN commission fees per annum. This is a conservative figure, not forgetting that ECN traders are usually high net-worth traders who trade large volumes and therefore generate more commissions. Is it any surprise that institutional trading firms earn billions of dollars in profits, and are able to pay their trading staff and the management generous bonuses and give them paid vacations? Only 5% of retail money traders are able to earn money from forex. In fact, the money that comes from the other 95% of losing traders actually go into paying for the profits of the smart money guys. One reason why this is the case is that most retail traders are poorly trained, inexperienced and lack the tools necessary for successful trading. Most successful retail traders do not make more than $2,000 consistently every month, and this figure is even for the minority of those who earn on the high end of the spectrum. Otherwise, most retail traders who actually make money gross $700 monthly on average. Get access to proper training through forex online forums. Attend as many free or low end paid webinars as well from leading forex experts. Amass sufficient trading capital and trade only on Level II platforms. You will need at least $20,000. If you cannot get this at once, use a compounding model of 10% monthly returns on a $1000 account until you get to $20,000 (usually after one year), and then withdraw your money and open an ECN forex trading account. Get a paid Virtual Private Server (VPS) close to the news service of your broker to get faster access to news releases. Develop a trading strategy that works and automate it. There are several trading platforms in use in the forex market today. Even though there are literally thousands of brokers offering forex trading services, the trading platforms they use can be classified into a few platform types which we shall discuss below. This is by far the most popular retail forex platform used in the market today. Almost every broker out there has adopted this software from Metaquotes Inc. The reason is simple – it is such a simple platform to understand and use that most traders will not trade with any other platform. Even brokers who never used to offer the MT4 platform have found out that this is costing them a lot of business and have started adopting its use. 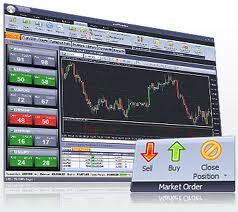 The flagship version has been the MetaTrader4, which is a vast improvement on its predecessor. The MT4 allows traders to use customised indicators and expert advisors, making it so popular. It comes with its own programming interface, the MQL which can be accessed clicking F4. A newer version has been produced, the MetaTrader5 but this is yet to catch on in popularity like the MT4. 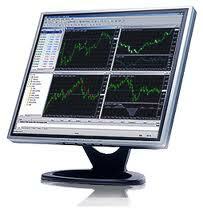 The MetaTrader4 is available as a downloadable desktop client from the websites of brokers that offer it for trading. ActWebTrader which is a web-based forex trading platform that requires JAVA to operate. It requires no software downloads. It is optimised to run in any browser. The recently introduced ActVAT (ActFX Visual Strategy Editor) which allows traders to program and edit strategies directly from the charts without having to write any programming code. The conventional ActTrader forex platform which is a downloadable platform suite that is used by brokers such as Ava Financial Limited (AvaFX). ActPhone: The ActForex trading platform for the iPhone. This is available from the App Store. ActDroid: The ActForex trading platform for the Android devices (phones and tablets). This is available from the Google Play store. ActPad: The forex trading platform for the iPad, available also from the App Store. FxApps: This is not really a forex trading platform, but a store to enable traders download algorithmic trading strategies as apps for their smartphone forex platforms. The Currenex Viking Trader for retail traders. Currenex Classic ECN platform for professional and institutional traders. Currenex Mobile Trader which is a mobile trading platform built for the iPhone. Currenex also offers FIX protocol software that are used by prime liquidity providers such as JP Morgan, Deutsche Bank, Goldman Sachs, UBS Investment Bank and RBS. Currenex platforms are used by brokers such as CMS Forex, FXCM Pro, FXDD, Varengold Bank FX, GFX and London Capital Group. The Currenex Classic ECN platform is quite difficult to use, unlike its retail trading counterpart. SpeedTrader 2.0: This is the retail trading platform for Level I trading. SpeedTrader Pro: This is used for Level II direct market access or ECN trading. Sterling Trader Pro: This is a more advanced trading platform used for Level II institutional trading. iSpeed Trader Mobile (mobile trading platform). Mobile trading platforms have become quite popular with the advent of the smartphones. Presently, there are four versions of mobile trading platforms used by brokers today. There are iPhone and iPad trading platforms. There are mobile trading platforms for Android phones and tablet devices. There are mobile platforms for the Blackberry, although these are not very popular. There are the Windows-based mobile platforms, which were actually the first versions of mobile platforms available. Each broker has its own customized version of these platforms in the form of applications that can be downloaded from the App Store (iPhone and iPad), Google Play (Android devices), the Blackberry App World or from the Windows store. 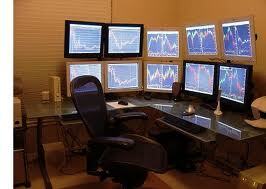 These are a new set of trading platforms that are used for automated and algorithmic trading. These have started gaining widespread use as from 2010. Not widely available, they are available to only a few brokers. Examples of this platform type are cAlgo platforms from Spotware Systems Limited and the ActVAT platform from ActForex Inc mentioned earlier. Multi-terminal platforms are used by professional fund managers and multiple account traders. They are built strictly to be used to trade multiple accounts with a single execution. Not many brokers offer this platform, and it is not really for individual traders. Forex account managers represent a spectrum of third party forex trading support services that are offered to a forex investor by a company or an individual. These services range from forex signals/alert services provision on one end, to full scale third party forex trading services on behalf of the forex account owner. In between, there are forex account managers that provide both sets of services. Whatever the level of service provided, the structure is the same: the account owner plays very little part in trade analysis and in some cases the execution of trades, which is left in the hands of the forex account manager. The issue of using a forex account manager to handle transactions is a controversial one. In some jurisdictions, the practice has some restrictions, and traders are expected to sign all manner of forms that will transfer the power of attorney concerning the trading activity on the account to a third party. Such a third party (i.e. the forex account manager) is expected to be licensed in some way in the financial markets to ensure their professional competency and accountability. In other jurisdictions, no such regulations exist and a forex account owner can easily engage anyone of his choice to manage the forex account. The latter is quite rampant, but has always produced problems with accountability and reliability. Ideally you want your manager to have true fiduciary responsibilities. The trader is expected to open an account with a forex broker, The choice of which broker to use is agreed on between the forex account owner and the account manager. Once the account is opened, activated and funded, the account owner hands over the trading platform login details to the account manager. The account owner also has an investor password given to him that provides viewing access to the account history but does not confer trading privileges. When profits are made, the account owner and the account manager share profits according to an agreed formula. Specifically, most forex account managers will operate an arrangement known as PAMM; a Percentage Allocation Management Module account management system. Under the PAMM system, the account manager is required to prove his competency by first opening the account, funding it with his own money and trading the account for at least 2 months. This money is known as the Manager’s Capital and it gives subsequent contributors to the PAMM account the assurance that their interests will be protected because the account manager is fully involved financially. We will now describe the fundamental operations of forex account management using the PAMM model. As earlier mentioned, the forex account manager first opens a PAMM account with a broker that provides trading software capable of managing multiple accounts from a single platform. Let us use an example of a forex account manager, whom we shall call Manager John. He starts with about $2000 and trades the account for 3 months, growing the account to $5000 in this time. Pleased with this performance, two other traders, Trader Jan Kay and Trader Black decide to invest $3,000 and $2,000 respectively, with a promise to pay Manager John 20% of their profits monthly. The account balance for the PAMM account is now at $10,000, and the ratio of equity stands at 5:3:2. Now after the first month of trading, if the PAMM account was able to register a profit of $4,000, this profit will be shared according to the equity ratio. Manager John gets 50% of profits, which is $2,000, while Jan Kay and Black get $1,200 and $800 respectively. From their share of the profits, Jan Kay and Black each pay Manager John 20% of their profits and this equates to $240 and $160 respectively. As long as profits are made, there will be money to share. When there are losses, all parties absorb the losses accordingly. 1) It allows traders who are very proficient in trading to become forex account managers under the PAMM model. 2) Intending investors are able to see the performance of the account manager BEFORE they commit their funds to the PAMM account. 3) The forex account manager has no access to contributed funds. The brokers usually have a system in place to ensure this. 4) All parties to the trade arrangement are able to leverage on the power of increased funds to hold larger positions and this allows them to potentially make more money. 5) The PAMM account allows investors to make money from forex without lifting a finger. This is an introduction to how forex account managers operate. If you are interested in getting a forex account manager to work for you, get a broker that allows PAMM account operations. It is the safest way to get forex account management to work for you. 1) There have been complaints in some quarters that forex demo accounts do not give a 100% accurate depiction of the market events that occur in live trading. To counter this, forex micro accounts were created to give traders that are not very satisfied that they are getting a feel of the live market from their demo accounts the opportunity to have a taste of live trading with real money, but usually small amounts of it. As such, you will find forex micro accounts that can be opened with as little as $25. 2) The forex micro accounts enable market participants with very little trading capital to trade forex without jeopardising their account unduly due to over exposure and over-leveraging. It is true that for some brokers, trade conditions in a virtual environment and a real money environment are different. This is usually the case with market makers, who function as counterparties to a trader’s positions in the real money forex market. In fact, it is an unrealistic expectation for traders to believe that trade scenarios in demo accounts and live accounts will be the same. Pricing and execution of trades in the real money forex trade scenario will certainly differ somewhat. If there are trade conditions that will lead to slippage (e.g. a large forex weekend gap), you may not see this happening on a demo account but you will definitely see this on a live account. It is for this reason that many brokers have given traders the opportunity to use small amounts of money to test real market conditions using a micro account. In addition, there are traders who are afraid to venture in with thousands of dollars, and there are also those who will not be able to muster up to $1000 to trade. Using the globally accepted rules of money management and leveraging of 1:100, a trader with $1000 in his account should not trade more than 0.1 lots at a time. If this is the case, what happens to those who can only muster $100? Surely they cannot use the same trade size as the standard account owner, but must use 1/10th of the position size of the $1000 account owner. This is where the concept of trading micro lots comes in very handy. By being able to trade contract sizes starting from 0.01 minilots (1 micro lot), such traders can find themselves within the limits of proper risk management. The requirements for opening a forex micro account are not much different from opening a standard account. The only difference is in the minimum account opening balance, which is anything from as low as $25 to a maximum of $300. Traders opening forex micro accounts are still required to fill out online account opening forms, submit personal identification documents and documents that prove the trader’s residence. Trading Experience – One big advantage that cannot be quantified in terms of money is the experience of trading in a real money market scenario. Ideally, a trader’s learning curve should not be from a demo account to a $1000 account. At this stage, this can be compared to learning to crawl and then running without the benefit of a walking experience. By stepping into this gap and being the trader’s bridge, the forex micro lot account provides the “walking phase” of a trader’s forex trading experience. Every forex trading beginner should open a forex micro account as a transition between the demo account and the forex live standard account. A good thing about the forex micro account is that it is not only meant for beginners, but also traders with some level of experience who have done nothing but consistently lose money and make other traders elsewhere rich. If you fall into this category, then you need to go back to the micro lot account to do some more learning and hopefully figure out your trading style. Reduced Risk Profile – If you have access to only a little money as trading capital and your broker offers 1 mini-lot as the minimum contract size, the forex micro account is your deliverer in this case. If you have only $200, do not try trading with a broker that offers 1 mini-lot as minimum contract size; you will lose your money in no time. Rather, shift to the forex micro account brokers. The forex micro account is a trader’s friend; use it and gain from the experience. According to a report released by the Bank of International Settlements in 2010, the forex market has a daily turnover of $3.98 trillion. In July 2011, the Dow Jones newswires estimated that this figure had risen to $4.7trillion, which is a marked increase from the just over $1.5trillion daily turnover recorded in 2007. In the United Kingdom, the Financial Conduct Authority (FCA) is the regulatory agency that is responsible for the regulation of the activities of market dealers and brokers. The FCA also works to ensure protection of traders in the market from any untoward market occurrences. The Financial Conduct Authority is an autonomous body, even though it gets its powers from the UK Treasury. Located in London with another branch in Edinburgh, the FCA came into operation in June 1985 (originally called the FSA). Its powers were strengthened by the Financial Services and Markets Act of 2000 after the collapse of the oldest bank in the UK (Barings Bank) in 1999. This collapse was an indication of the failure of the self-regulating mechanism that had been in operation and so the strengthening of the FCA was done to clean up a defective system. The forex brokerage business operates somewhat like banking business when it comes to issues of settlement of clients’ claims. The premise is that not every trader will withdraw their funds at the same time, so the broker must have sufficient segregated funds to be able to cater for settlement of withdrawal requests. This goes to mitigate against inabilities occasioned by large volume of withdrawals. Some brokers try to prevent this by controlling the frequency of withdrawals by customers. However, this is not how FCA-regulated brokers operate. Rather, forex brokers in the UK are expected to operate a segregated account in which clients’ trading funds are warehoused. This was a policy thrust that was a fallout from the October 2005 scandal at Refco, in which traders’ funds were intermingled with that of the broker, which prevented traders from recovering their money after a major accounting fraud caused this firm to declare chapter 11 bankruptcy. Traders using FCA-regulated brokers are eligible for compensation in case of broker default under the FCA Regulated Brokers Compensation Scheme. Under the terms of this scheme, an established default of a firm as from January 1st 2010 entitles the trader to receive up to £50,000 compensation per firm, and 100% of the first £30,000 and 90% of the next £20,000 per firm. The FCA has an online register which displays the list of forex brokers who are in good standing. To be in good standing, a forex broker must have fulfilled all the conditions set out by the FCA for operations of a retail forex brokerage business for some time. Brokers are expected to state their license registration numbers clearly on their websites. What this means is that traders who use FCA-regulated forex brokers have a comprehensive protection package in case of broker defaults or bankruptcies. Forex signals software is used by traders to generate trade alerts in the forex market. These alerts either show up as pop-ups on the trading platform, or can be delivered to the trader by email or by SMS. Some can also be designed as master-slave software, where trade alerts generated can be sent to subscribers to the service. Indicators can either be provided by the broker on their trading platforms (default) or can be programmed by the trader or on his behalf by someone who has the required programming skills. Custom indicators are better suited to function as forex signals software. Custom indicators are usually programmed to display a pop-up showing the trade buy or sell trade signal, along with a sound alert so the trader is informed duly about the opportunity. Some custom indicators are also programmed to deliver alerts in the form of text messages to the subscriber’s phone number. Whatever the method of delivery, custom indicators are about the most popular forex signals software. Chart patterns are an important aspect of technical analysis and can be used with a great degree of accuracy in predicting market moves. Being able to recognize chart patterns is therefore a great asset to a trader. Now, we have software that can do the job. Chart pattern recognition software come in various forms. There are some that come as software plug-ins that can be attached to the trading charts or the trading platform, while others are provided as forex signals from third party vendors, which the trader can now implement on his platform. A very popular version of this comes from the stable of Autochartist. Traders who are skilled in recognizing chart patterns can also work with programmers to design their own software. This forex signals software is a must have for every retail forex trader. Candlesticks are an indispensable tool to the trader. We daresay that any trader who cannot use candlesticks to detect trade signals is probably not going to do well in forex. That is how important candlesticks are. A candlestick can make the difference between making money and losing it. If a trader has software that can detect important candlestick patterns on the charts, that trader will have an unassailable edge over others in the market. Candlestick recognition software are an important forex signals software tool. The problem is that there are several candlestick patterns and not all of them are very important. In addition, they should only be used at certain points. For instance, a bullish reversal candlestick pattern appearing when the market is clearly at a strong resistance will not really help the trader. So candlestick recognition software should not only be able to recognize a candlestick pattern, but must also be able to tell the trader if that pattern gives a tradable signal. Presently, there are very few of such quality candlestick pattern recognition software in the market, and the available ones are very pricey indeed. Such is the premium attached to this forex signals software. If you can lay your hands on a good one, guard it jealously. Generating signals based on news is about automatically interpreting press releases and how the information released might affect the markets. Traders pay fees when they trade. In addition to spreads and ECN commissions, there are other “costs” to trading that many traders are not aware of. – How much does the broker require as account opening balance? – What are the actual spreads for each currency asset? – Will the trader earn interest on money just left in the account, or will the trader be penalised for account dormancy? – Are there costs to value-added services such as news feeds or squawk boxes? Traders sometimes find it difficult to use certain trading platforms due to the complex nature of the interface. The more complicated a trading platform is to use, the more likely that a trader will commit errors in order placements. Apart from user-friendliness, does the broker provide an atmosphere for good trading experience? I recall once using a broker whose platform had all manner of bugs and the platform kept tripping off at crucial periods of trading. How frustrating is that? Trading tools enhance the trader’s ability to profit from the market. Do the traders have access to interactive charts, indicators, squawk boxes, and other account tools? Whenever a trader has issues, can he get a satisfactory response and speedy resolution of the issue at hand by the broker’s customer service department? Or does it take forever to get a response from the customer service department as was the case with a broker I once used in the past? It was such a bad experience; imagine a situation where even my own account officer was nowhere to be found when I needed him the most. The good thing about reviews that come in from forex review sites and online trading forums is that you get to hear unadulterated opinions about performance of brokers from traders from all over the world. I am usually glad when I see reviews from my countrymen. What better gauge of broker performance can you have than the experience of someone who lives in your territory, telling you about his experiences with a broker, complete with an unbiased rating? Bad brokers are usually very scared of these places because this is where many of them are exposed for what they are. They even pay people to counter bad reviews for them but eagle-eyed traders can always spot these lame attempts at cover-up from a mile away. In contrast, good brokers love such places because this means easy advertising and more business for them at no cost. It’s clear that certain brokerage firms stand out in terms of cost of trading, the trading process, trading tools and what other traders think about their services. Of all these parameters, we would advise traders to choose brokers based on trading process, trading tools and cost in that order when making a choice. Usually if these three parameters are in place, the trader can make the best of his trading experience without bothering about reviews (which could be subjectively biased) and without having recourse to the customer service departments. Most traders would love to find a forex trading strategy or a system that guarantees profits, but is there such a thing? The big institutional trading companies have developed their own trading algorithms over the years and keep their strategies a well guarded secret, but individual retail traders don’t have the time, skill and resources to do so. Firstly, there is no perfect forex trading strategy. Even a major institutional trading firm can suffer losses from surprise market movements or putting too much trust in a trading system, or as a result of carelessness by one of their own traders. Secondly, if you come across a webpage that claims to have a strategy that can turn “$500 into $36,000 in three months”, please don’t believe a word of it, and don’t believe any testimonials either as they might all be fake. Scam strategies and systems is a profitable market where unscrupulous people make money on naive beginners who really want to believe in easy profits. Now that you know what a forex trading strategy is not, we will tell you the characteristics of a good system. 1) A good forex trading strategy is one that can deliver profits consistently over time. No system can guarantee a profitable trade every time, but it has to deliver more profits than losses over a period of time. If you have a forex trading strategy that can deliver 30 wins and 20 losses in 6 months, and you have a net return of 50%, you actually have a good strategy. If you have one that delivers 50 wins and 15 losses, but your return over 6 months is only 10%, then obviously this strategy is not as good as the first one even though it posted a higher winning ratio. 2) A good forex trading strategy must have a solid risk management system. As we can see from (1), the overall profitability of a forex trading strategy depends to a large extent on risk management. If a strategy has a high win ratio but poor percentage returns, then there is a problem with the risk management strategy of that system even though the strategy helps the trader make good trade calls. 3) A forex trading strategy must be able to withstand the swings of the market and adapt. For instance, there are some currency pairs which were typically range bound about 2 to 3 years back, but which have suddenly assumed trending status. One such currency pair is the EURGBP. Why would anyone sell a system that works rather than simply profit from it personally, with less competition? The web is flooded with scam systems, and finding one that works is a needle in a haystack situation. Our recommendation is not to believe in easy money, but to learn the basics of currency trading and from there conduct experiments while documenting failures and successes, and create your own system based on your own circumstances and “trading style”. Your trading style is determined by how much money you are comfortable and able to risk on a single trade, how long you can stand to wait before closing the trade, and other things that depend on your personality traits. A forex robot is software designed to perform automated or semi-automated trading on the trader’s behalf. 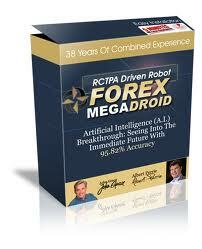 If the robot opens a trade position on the trader’s behalf, then the forex robot is referred to as “fully automated”. If the robot displays a pop-up window alerting the trader to the existence of a “trade signal” based on the robot’s programmed strategy, but leaves the execution to the trader, it’s a “semi-automated” bot. There are benefits to using legitimate forex robots, but there are also some serious pitfalls to their use. We will examine some of these below as a way of helping traders use bots responsibly. Forex robots can be used to trade on autopilot and remove the stress of having to analyse charts for trade opportunities, or sitting all day by the computer waiting for the opportunities to develop, or taking the risk of losing one’s job by switching between the work screen and the trading platform while in the office (Many employers will not be amused by staff not being fully attentive and committed to tasks in the office, and naturally, not many a boss would be comfortable with employees having alternative sources of income that would give the worker some degree of leverage in the employer-employee relationship). Robots are designed to trade without emotion. Emotions can become a very negative influence in trading, and by seeing the opportunity and being able to know when to open and close trades according to the pre-programmed strategy, the forex robot is able to make a decision without equivocation on the trader’s behalf. Problems occur when a robot is either programmed with a faulty strategy, does not manage risk properly, or is simply a scam product. Most forex robots sold online are junk products made by scammers that are drawn by the allure of the $4 trillion that changes hands daily in the forex market. If your trading is done automatically and poorly, you can rack up a lot of losses before you realise it! If you are using a bot, chances are that you may have bought it online or may have obtained a pirated version of the software. Whatever the case, commercially sold robots often have one flaw: they do not necessarily factor in the individual trader’s tolerance for risks and losses, trading goals and expectations. Another potential problem is the unrealistic expectations of the trader, who might be poorly equipped to deal with strings of losses or the time it takes to turn a sizeable profit. 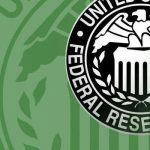 For those of us who have day jobs or just cannot stand the stress or boredom of sitting in front of a computer and staring at those confusing indicator and charts, a forex robot is potentially an option. However, the best results are achieved when the trader is actively involved in the development of its code/algorithms and individual trading decisions. In forex, traders cannot go to the market and deal with one another as they would do when going to the grocery store or flea market. Rather, traders can only do business with other market players through intermediaries known as brokers. The job of brokers is not only to bring market participants together in a transparent and structured format, but also to provide liquidity (market makers) and provide a bridge between the trader and the liquidity providers who offer currencies for sale. How do forex brokers make money? 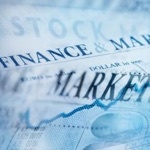 Forex brokers are compensated depending on the trading model that is offered to their traders. Generally speaking, traders can trade forex using the dealing desk of brokers when trading under market maker conditions, or they can trade under direct market access/straight through processing conditions. The structure of compensation available to the forex brokers is different in these two trading conditions. Let us explain the structure of broker compensation in each of these market conditions. In order to understand the compensation of market maker brokers, let us use the analogy that we find in everyday life when an individual goes to the local Bureau de Change office to convert currencies. If an individual living in Canada who wants to travel to Europe goes to the Bureau de Change to convert Canadian Dollars to Euros, he will notice that there is a difference between this conversion rate when and the rate at which he will convert any unspent Euros back to Canadian Dollars when he returns. The difference in the two exchange rates is the profit of the Bureau de Change operator. The bid price is listed on the left of the quote and the ask price is listed on the right. Whenever the trader opens a long position on the USDCAD, he purchases the currency asset at the higher price (1.1011, which is the ask price). When he goes short, he is sold the asset by the dealer at the lower price (1.1007). In both cases, the trader’s account is debited by the difference between the bid and the ask, which is the spread. The spread here is the broker’s compensation and is equivalent to the offline commission that we illustrated earlier. The spread is measured in pips. The eventual monetary value of the spread will depend on the trade volume of the trader’s transaction. The higher the trade volume, the more money accrues to the broker. In market maker conditions, the spread is usually fixed and the broker gets the spread as commission whether the trader wins or loses in the trade. Different currency pairs have different spreads. As a rule, the more the currency pair, the lower the spread. In direct market access/electronic communication network conditions, traders do not pass through a dealing desk at the broker’s end. As such, they are able to get more direct pricing from the liquidity providers. Here the spreads are variable; there is no fixed structure. If volatility is very high, it is not surprising to see a four-pip spread suddenly increasing to as much as 18 pips in a matter of seconds. In addition, traders are charged a commission for trading under the ECN environment in order to support the cost of maintaining the ECN trading infrastructure. Commissions differ as well from asset to asset. When all this is put together, it is easy to see why a forex brokerage business is a capital intensive but lucrative business. Spreads and commissions are also shared between the parent brokers and introducing brokers/affiliates who bring in trading clients for the brokers. Typically commissions paid out to introducing brokers range from 10% to 30% depending on trading volumes generated. Outside of this compensation model, there is a subtle addition to how market makers make money. Due to the fact that they are acting as counterparties to the trades placed by the trader, they make money when the traders lose money. This is because they “purchase” the currency asset at a certain price from the liquidity providers, and resell the same positions to traders using their dealing desks. This is one of the selling points of ECN brokers, and that is that the traders get their price quotes and trade executions directly from the liquidity providers. So when opening accounts, traders should be familiar with how the broker they intend to use earn commissions, and decide if they prefer to pay a commission + spread for an ECN broker, or pay a spread + the entire cost of the trade position in a losing trade to a market maker broker. But was this always the situation? Let’s delve a bit deeper into the history of the forex market. Towards the end of the 19th century, paper notes began to replace older forms of currency that were in use at the time. By the time the Second World War was in progress, almost every country in the world had its own currency. Colonized territories assumed the currencies of their colonial masters. This war was principally fought by the Germans, Japanese and Italians on one hand, and the British-led Allied Forces on the other. America joined the parley after the Pearl Harbour bombing and so was relatively spared by the bruising economic effects of this war. By 1944, the economies of the principal actors in this war were on life support. To chart a course for the post-war era, an economic conference was convened in Bretton-Woods, USA in 1944. One of the outcomes of that meeting was that all global transactions and currencies were pegged to the currency of the relatively unaffected US economy, and in turn the US Dollar was pegged to a gold standard of $35 an ounce. Over the next 27 years, the value of this standard kept depreciating as the US grappled with the economic effects of the Vietnam war, leading the Nixon-led US government to abandon the gold standard. Other countries also unbundled their US Dollar peg and the era of global currency floatation was born. It is the fact that most world currencies are now allowed to float and have their values determined on a minute-by-minute basis by market forces that has led to the concept of forex trading. From 1971 to 1996, the trading of currencies was the exclusive preserve of institutional traders, made up of banks and high net-worth individuals who pooled money together into massive hedge funds. There was no place for individual traders because most could not afford the large capital outlay required to profit from minute price movements in the currency market. However, as the concept of margin and leveraging were developed and cheaper access to borrowed funds was made available, the forex market was deregulated in 1997 to allow for individual participation in the market. Since that landmark year, the daily turnover of the forex market has increased substantially to stand at about 4 trillion US dollars. This is a truly phenomenal amount of money floating around and if you have what it takes, you can grab your share by participating in the market.